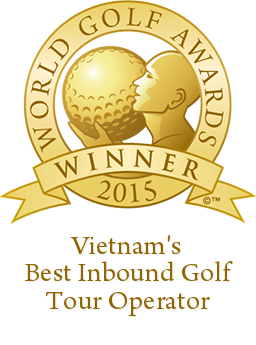 If you want to make a great escape from the hustle and bustle of Ha Noi or you are finding a great golf course to play when you travel to Viet Nam. 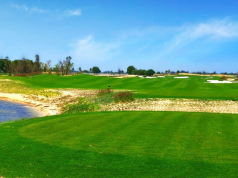 King’s Island Golf Club will not make you disappointed when you play golf on what some of the best designers around the world have called the best golf course in Vietnam and even Southeast Asia. Situated on a small island in the middle of Dong Mo Lake where is at the foot of Ba Vi Mountain (known as “the King of mountains” in the Vietnamese spirit). 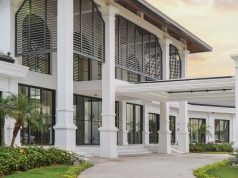 It takes you approximately 30 minutes by car from the center of Ha Noi and 3 more minutes across the Dong Mo Lake by speed boat to a quiet and scenic island which awaits you to test your golf skills. Kings’ Island Golf Club makes you feel relaxed and comfortable due to its beautiful natural landscapes and the world-class quality of service. The 36-hole King’s Island golf course situated on 350 hectares of hilly area and 1500 hectares of lakes and it’s divided into two great 18-hole course: Lakeside and Mountain View. As the name Lakeside do suggest, 14 out of 18 holes bringing water in play that will fill your lung with fresh air and feast your eyes on the lake here. Designed by Robert Mc Farland, one of the best American golf course designers in 1993. Robert took full advantage of this opportunity to create many holes situated on the 1500 hectares of surrounding lakes. The course measures 6516 yards from gold tees, with very well-maintained greens, undulating fairways, beautiful lakes and strategically placed bunkers, water hazards making it a truly amazing golfing experience for both low and high handicap players. The Tifdwarf greens are small in size but very fair as are the tight Bermuda fairways. A team of foreign experts and local understudies make sure that the surface grass are always kept in perfect condition. Meanwhile, Mountain View golf course was designed in 2004 by Pacific Coast Designs (Australia). 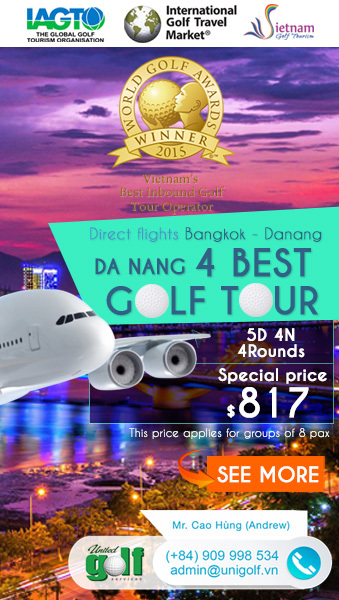 It makes a great and unforgettable impression for golfers by its breath-taking mountain surrounding view. The 18-hole course, par 72 stretches out over 7,000 yards from Gold tees and are covered by Novotec grass, a special grass imported from Australia which can withstand harsh temperature variations in the North of Vietnam, the hardy grass also provides a smooth-rolling surface of putting.